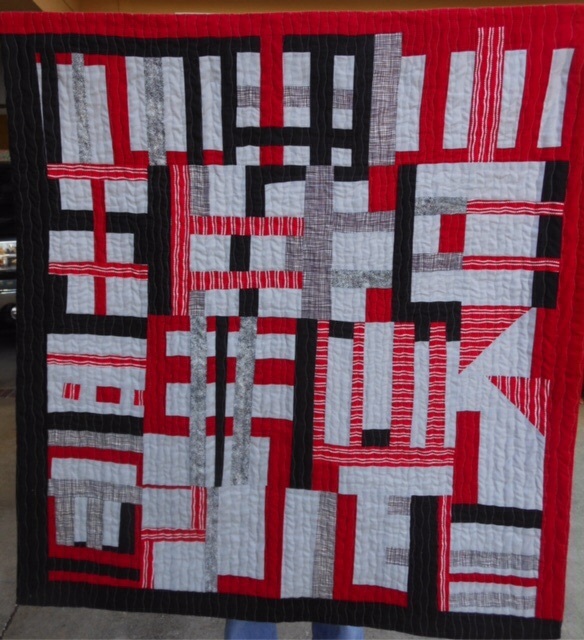 Last winter, I made a test quilt for the new book by Sherri Lynn Wood, The Improv Handbook. Sherri Lynn blogs at Daintytime.net. 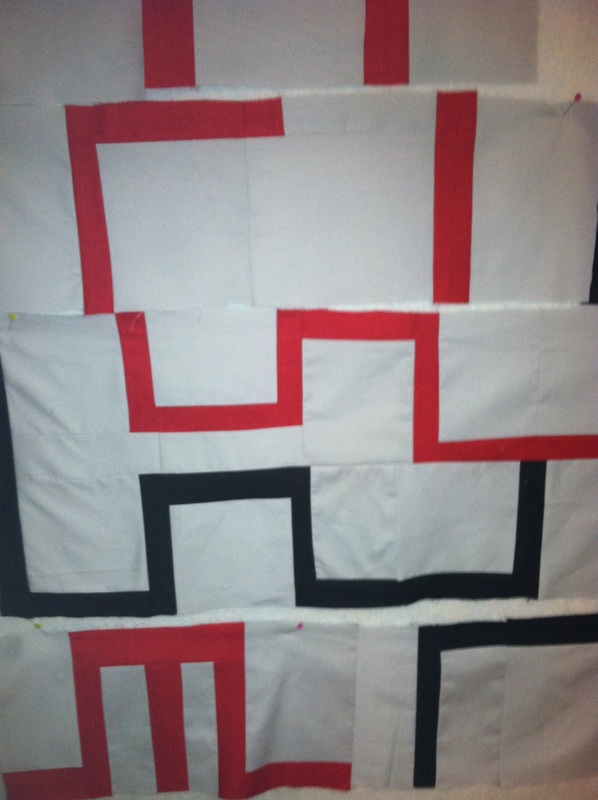 For the quilt, I was assigned to make a quilt using one of the improvisational scores described in her book. Using a design wall, I put the blocks up as they were made and moved them around a lot on the wall. As you can see, the quilt blocks were dull. I have made lots of improv quilts and I love them all. To be honest, it was hard to do improv with a score when I first began. After much waiting and thinking and looking at the blocks, I decided I didn’t want to waste my good fabrics. So, I started cutting the blocks up and rearranging them. I like to cut things up to give them more character. The quilt blocks began to sing to me. There was only one problem, I had gone off the score somewhat. However, I do think the score and the trouble I had designing from the score helped me to get to where I wanted to be. I named the quilt, Catawampus. In the south, we say something is Catawampus if it’s a little off. 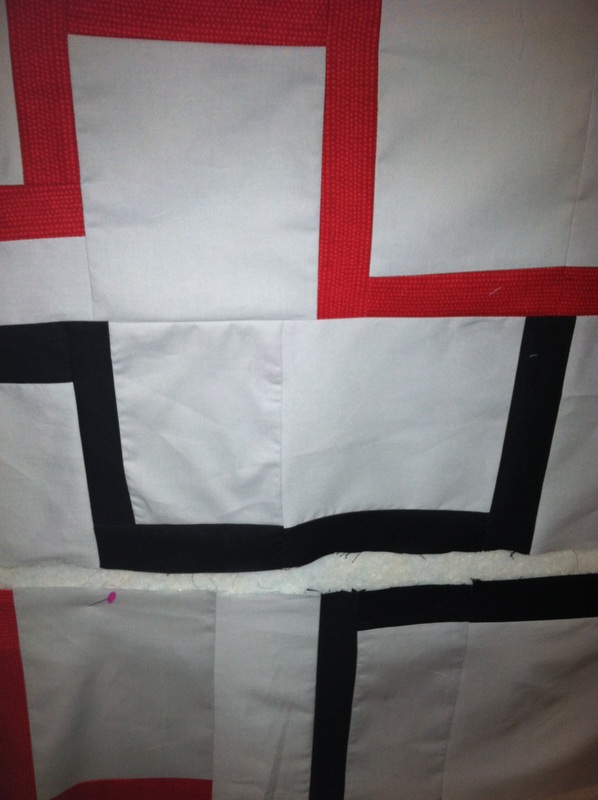 Since this quilt was off the score or grid, I thought it looked Catawampus. As I see quilts that were selected for the book and those that were not selected, I’m so impressed with the beauty of them all. If you don’t do Improv, I challenge you to get a copy of the book and try a few. There are no patterns, just suggestions on how to get going. And, of course, since it’s improv, you can go where the fabric leads you. Finally, Catawampus was a little too off score and wasn’t selected. But, it’s hanging on the wall in our guest bedroom and everyone who sees it likes it.